With a tip of the hat to a post at How Appealing, the Eleventh Circuit Court of Appeals issued a ruling that will impact wildlife in the Florida Keys. Specifically, the court ruled in favor of a number of endangered and threatened species and animal/environmental groups holding that the Federal Emergency Management Agency (“FEMA”) and the U.S. 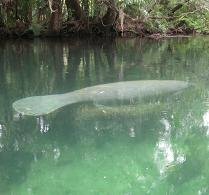 Fish and Wildlife Service (“FWS”) failed to comply with section 7 of the Endangered Species Act, with regard to FEMA’s administration of the National Flood Insurance Program in the Florida Keys. It's always good to see animals being named as parties to a case in their own right. In the 11th Circuit's opinion, the plaintiffs–appellees were three environmental organizations and eight endangered or threatened species. The organizations were the National Wildlife Federation, the Florida Wildlife Federation, and the Defenders of Wildlife. The endangered or threatened species are the Florida Key deer, the Key Largo cotton mouse, the Key Largo woodrat, the Key tree-cactus, the Lower Keys marsh rabbit, the Schaus’ swallowtail butterfly, the silver rice rat, and the Stock Island tree snail. As a bonus piece of trivia, the opinion's author, Judge Barkett, was a justice on the Florida Supreme Court before being appointed to the 11th Circuit. She was the first woman to serve on the Florida Supreme Court and the first female chief justice. According to the Florida Supreme Court's website, when she was appointed to the court in 1985 "the Justices' chambers collectively had only two restrooms: one marked 'Justices' and the other for women. With Barkett's appointment, this situation obviously came to an end." Web Betting Games Get ready for fun.